The Mediterranean is highly desirable for an extensive range of yacht charter destinations to suit every taste. From chic coastal towns with archaeological ruins to fishing villages clinging to cliff sides, from lemon groves and vineyards nestled on lush hillsides to unspoiled beaches with aquamarine water, Luxury Today delves inside 4 stunning Mediterranean yacht charter destinations that are hard to match for a luxury escape. The Balearic Islands are a popular luxury yacht charter destination with an enticing mix of natural beauty, archaeological heritage and buzzing resort towns. Mallorca (Majorca), the largest of the islands, is an excellent choice for charter guests looking for superb local cuisine, history and beautiful natural sites including sandy beaches with turquoise water, sheltered coves overshadowed by rocky cliffs and pine forests ideal for walking or cycling. The island’s capital city, Palma de Mallorca, known simply as Palma, has impressive historic monuments and a chic port. Stroll the streets to see the Gothic Cathedral, La Seu, or the Royal Palace of La Almudaina. For low-key dining, drop into Toque de Queda located in an old bakery off the main streets and serving delicious tapas alongside cavas and champagne. For something different ashore, take the train (Tren de Sóller) from Palma to Sóller, then the vintage tram to Puerto de Sóller on the coast where you can find plenty of cafeterias on the beachfront promenade with vistas of the mountains and sea. Charter guests will find Mallorca is more than just sea and sand, with inland villages set amongst olive and orange groves and historic ruins punctuating a past filled with Moorish pirate invasions and Carthaginian trade routes. Ensure you take the time to visit the World Heritage-listed Serra de Tramuntana Mountains, see Valldemossa’s Royal Charterhouse, swim at Cala Banyalbufar and relax at Deià, popular with artists and cyclists. Cap de Formentor, Mallorca’s northernmost point where the Serra de Tramuntana cliffs slide vertically into the sea is a wild, rugged coastline – afterwards, stop by Pollença for wine tasting and make a reservation for lunch at Restaurante Es Guix. Near to the Lluc Monastery, Es Guix is a stone lodge reached via winding mountainous roads and hidden amidst lush vegetation with a refreshing spring-fed pool; it offers an idyllic location to dine on dishes such as slow-cooked lamb or suckling pig. Charter guests interested in geology or prehistory, can explore caves such as Coves de Campanet, Racó de Xot or Cuevas del Drach, with one of the largest underground lakes in the world or step back in time at Ses Païsses near Artà, an important Bronze Age site. Mallorca has a number of outstanding nature reserves for people keen on hiking, nature watching, or botany. Sa Dragonera Natural Park is an island off Mallorca’s southwest coast and the habitat for a diverse range of plants and endemic animal species, and Cabrera, another island south of Mallorca is home to lizards, dolphins and seabirds unaccustomed to tourist hordes on the mainland. We also recommend S’Albufera wetlands and the Mondragó Natural Park with two stunning beaches, Playa de S’Amarador and Cala Mondragó. If you want a bit more action, stop for sangria sun downers at Roxys Beach Bar at Portals Nous or enjoy a drink at one of the marina restaurants at Cala d’Or. As well as cruising the coastlines of Mallorca, yacht charters often combine visits to Ibiza, well known for its nightlife and Menorca, a UNESCO Biosphere Reserve with scenic beaches. Propped offshore on the Var coastline twenty kilometres from Hyères in southern France, the Îles de Porquerolles are three islands – Porquerolles, Port-Cros and Île du Levant – all of differing character but immense charm and the claim to fame as the inspiration for Robert Louis Stevenson to write Treasure Island. The islands have limited amenities and are therefore a lovely escape from the souvenir-laden coastal resorts and tourist-riddled autoroutes. Known also as the Îles d’Or (Golden Islands), the islands present charter guests with a pleasant climate, clear turquoise waters perfect for snorkelling and diving, magnificent sandy beaches and walking tracks past olive groves and wild herbs. Port-Cros is a Natural Park with a protected maritime area, and over thirty-five kilometres of walking paths with points of interests such as abandoned forts and nice coves. Île du Levant has only ten percent of its territory open to the public and has wonderful nature walks and fine beaches. 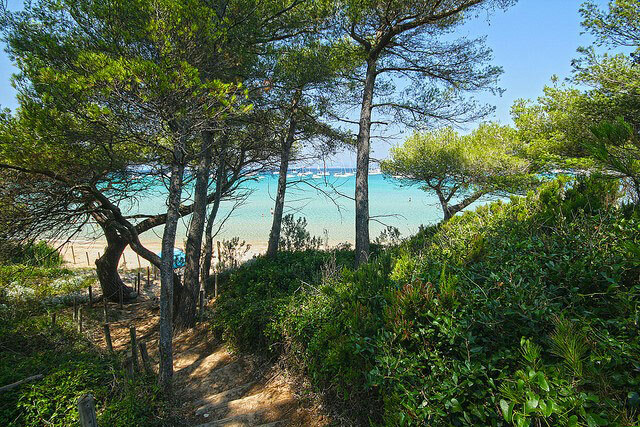 Porquerolles is the largest island, and outside of busy summer months has deserted beaches and quiet rocky coves to discover at leisure. Exploring by bicycle is a popular mode of island transport as private cars are banned. The island is the opposite of uber-luxe, you’re more likely to see families and fishermen than Fendi so if you’re seeking glitz and glamour you won’t find it here – simply the sound of cicadas lodged in the eucalyptus and pine trees and the clink of pêtanque. Don’t miss capturing a few moments at dusk with a glass of wine from one of the island’s three vineyards at the beachside Restaurant Plage d’Argent before the tender heads back to your superyacht. For longer yacht charters, the calanques in the west near Cassis are ideal backdrops for photos before the jostle of Vieux Port in Marseille, or heading east, celebrity favourite Saint Tropez is a great charter destination to laze portside with a pastis or choose from one of the numerous beach clubs at Pampelonne where you can dine on fresh langoustine and sip chilled champagne from the comfort of your sun lounger. The Amalfi Coast is a highly desirable destination in the Salerno province of the Campania region in Italy and the embodiment of everything that makes life here appealing – amazing cuisine, historical monuments, Instagram-flawless towns stacked on vertiginous cliffs and sea views to die for. Seeing the sights is best enjoyed by private yacht where anchoring off sheltered coves and taking a tender in to dinner is rigore as the locals say. Sorrento, not technically part of the Amalfi Coast is worth a visit – the grand old dame of the Sorrentine peninsula with postcards emblazoned with Mount Vesuvius, Vespas and limoncello, the famous lemon liqueur. On shore, make the short journey to nearby Sant’Agata sui Due Golfi where lunch at Michelin-starred restaurant Don Alfonso 1890 will reaffirm your tastebuds, or try your hand at a traditional cooking class at Old Taverna Sorrentina where you can learn to make ice cream from pistachios or Italian cheeses such as the Sorrentine version of caciotta. Equally popular Positano is the ‘Jewel of the Amalfi’ and the ideal town to stroll the steep streets and stop for gelato. Locals congregate at the busy main beach however we recommend you venture to Fornillo, Arienzo, or Laurito instead. At dusk when the fading sun highlights Portofino’s buildings in every shade of pink, peach or yellow head to Franco’s Bar, set on an al fresco terrace above the iconic hotel La Sirenuse. Franco’s has a sublime location with an equally impressive décor; drop by for a cocktail or Krug where the Baroque-inspired yellow fountain from Giuseppe Ducrot and the Murano glass tumblers enhance the beautiful sea views. Praiano has some of the best sunsets on the entire coast and magnificent sea grottoes including Fontana dell’Altare and Grotte di Suppraiano. A unique place to visit is Fiordo de Furore, located between Praiano and Amalfi whereby access by foot is now closed so the only way to reach this secluded pebble beach is via boat, kayak or jet ski. Once there, the vistas of the fjord cliffs, the old arched bridge above and the fishermen’s boats is serene. Nestled at the edge of a ravine reaching to the shoreline, ‘must see’ Amalfi can get extremely busy but has some lovely places to frequent. Don’t miss the Cathedral, Duoglio beach, make a reservation at La Preferita and sample their 1000-herb liqueur and if you want to stay ashore try the Hotel Santa Caterina, an Art Nouveau villa cut into the rock. Thirty minutes from Amalfi, Ravello offers respite from the coast with romantic gardens dotted with marble busts at Villa Cimbrone and Villa Rufolo. 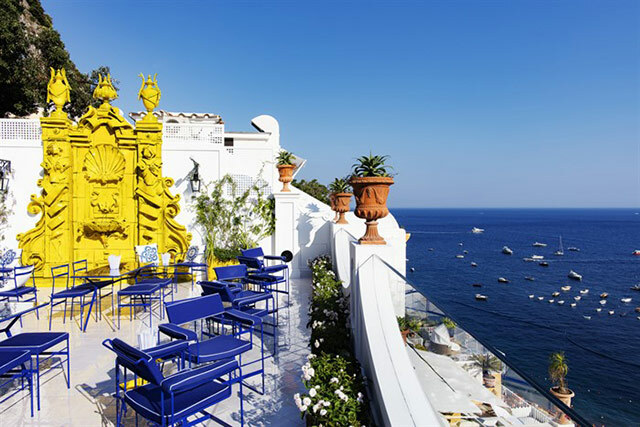 You’ll find the spectacular sea views without the crowds of Sorrento or Positano. For less tourist-oriented alternatives to Sorrento, Positano and Amalfi, venture to the smaller towns between Atrani and Salerno. Tiny Castiglione beach offers great views of Ravello and the Collegiata di Santa Maria Maddalena church at Atrani, and Cauco beach at Erchie is located between the Saracen watchtowers of Torre Cerniola and Torre del Tummolo. This is a corner of the Amalfi Coast where life moves slower; where nonnis sit on the staircases in the town to watch visitors pass by and shepherds from the mountains even come to the coast to breathe the salt air and eat seafood drizzled only in olive oil and the juice from the giant sfusato lemons. 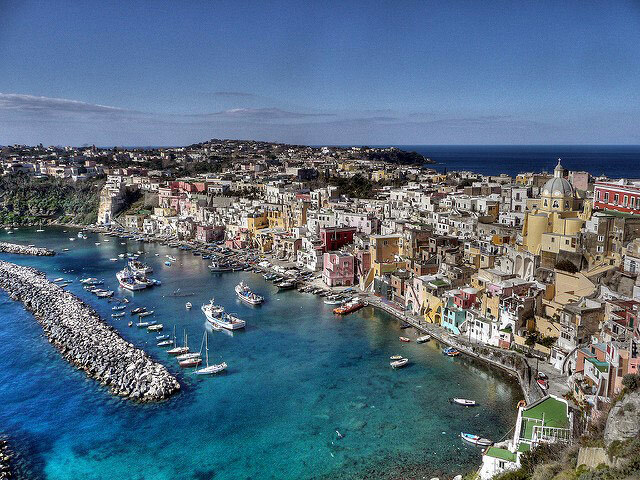 On shore excursions can also take in the well-preserved Greek temples at Paestum or the famous ruins at Pompeii and Herculaneum, while extended yacht charters can include Naples, Rome and the picturesque islands of Le Sirenuse, Capri, Ischia and Procida. 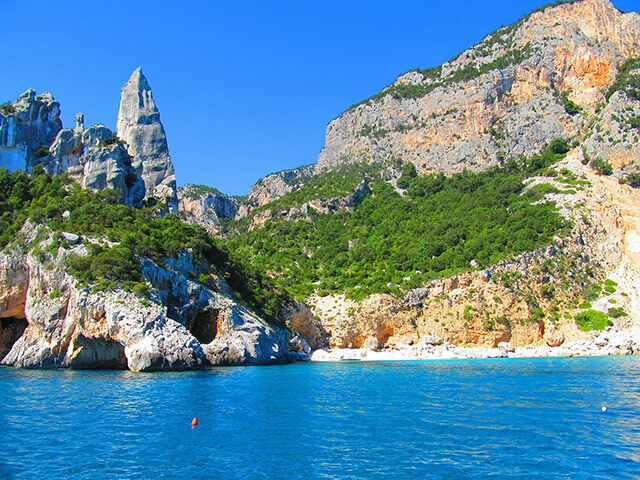 Ever popular, yacht charter guests will be spoiled for choice in Sardinia with vividly coloured water, breath taking beaches, a varied landscape from wild highlands to coastal rocks shaped by the wind and sea, world class golf courses and top restaurants. Sardinia is well known for the Costa Smeralda and Porto Cervo with superb designer boutiques, ‘see and be seen’ dining establishments and spa resorts, but there is more to Sardinia than the anchorages of the Costa Smeralda. Cruise leisurely in the Golfo di Orosei with jagged cliffs, grottoes and miles of beautiful beaches including Cala Goloritzè. Roam the old citadel centres of Cagliari and Sassari. Swim and snorkel at the La Maddalena archipelago (best visited outside of peak months of July and August) where you’ll likely anchor beside royalty or celebrities. Visit the Bronze Age Nuraghe Losa to learn about Sardinia’s past settlements. Hike in Su Goruppu, an immense gorge with goliath boulders and green pools overshadowed by the limestone cliffs. Play 18-holes at Tanka Golf Club or Pevero Golf Club, both with far reaching sea views. For an extended charter, Corsica is a popular combination with Sardinia and full of natural beauty, cultural heritage and exceptional cuisine. For luxury yacht charter to any of these destinations, contact Bespoke Yacht Charter.